For Christmas 1982 my brothers and I got our first games console (an Intellivision as it happens. Yes reader, we were that family) and it was truly, mind-blowingly amazing. In fact, it was like magic. And that was the problem–it was like magic. No one had a clue how even their Grandstand Entertainment System (aka ‘Pong 8-ways’) worked and they certainly didn’t have the tools to make their own computer games even if they wanted. We were consumers of tech, not creators. So the early 1980s was basically rubbish and we were all sad. VHS clocks across the nation flashed in sync because nobody knew how to set them. 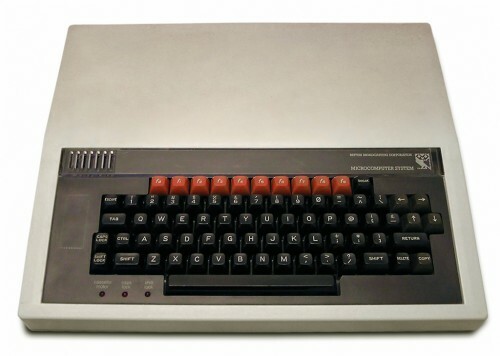 Then along came home computers and changed *everything*: the majestic BBC Micro; the mighty Spectrum (the best because I had one and I say so); the marvellous C64. And the Dragon 32. At last we could get to grips with how computers worked and use them to make stuff. Amazing things came from this revolution–including the Raspberry Pi– but that’s another story. Fast forward at C-90 cassette speed to the present day. Life is full of space gadgets like smart phones, HD TVs and talking shoes. It’s like magic. And that’s the problem. Yet again, we are consumers of tech, not creators. Raspberry Pi was made to help fix this problem and we constantly champion computing as a creative tool for young people. You can see this in many of our resources as well as initiatives such as our Creative Technologists mentoring program. In short–we think digital creativity is hugely important. Which is why we are delighted and proud to be one of the partners of BBC Make it Digital which launched today. Make it Digital is a UK-wide initiative that aims to inspire “a new generation to get creative with coding, programming and digital technology” and to “capture the spirit of the BBC Micro.” It will include free hardware for all year 7 students in the UK; training for thousands of young people; TV and radio programmes and online activities; national education events; and partnerships with organisations from all areas of digital creativity, technology and computing. 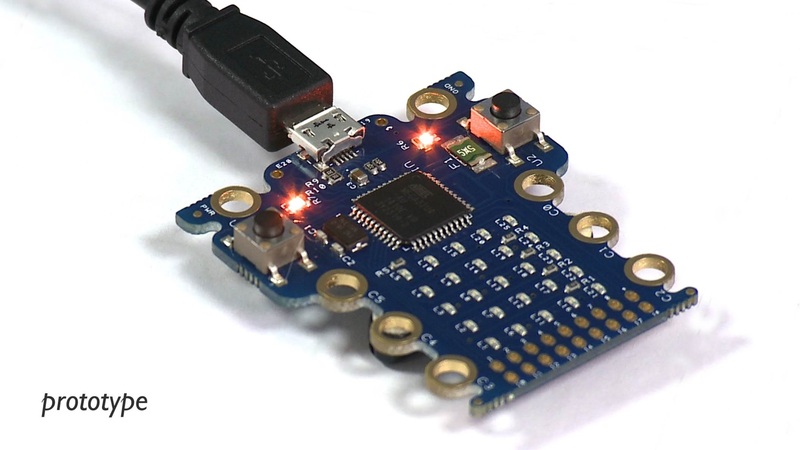 One part of Make it Digital is the small programmable device codenamed ‘Micro Bit’ that is currently in development and will be given to all schoolchildren in year 7 later this year. The aim is to get young people programming on a simple platform that then acts as a “springboard” to full computers such as the Raspberry Pi. We’re looking forward to getting our hands on the hardware to see what it can do. Along with links to flagship programmes such as Dr Who there are a host of new programmes for TV and radio. We were especially intrigued by the announcement of “a drama based on Grand Theft Auto”. I’m hoping that they run it back to back with the documentary on Ada Lovelace so that I can celebrate digital creativity in a happy yet cognitively dissonant sort of way. The line-up looks great and it will be good to see digital creativity and computing represented in depth on TV and radio at last. The BBC will be providing a range of formal learning activities and resources and there will be a resource finder to allow students, teachers and parents to find and access this material and more. Are there any details on the specs of the Micro Bit? It’s somewhat amusing that the Pi is now a ‘full computer’. And I’d be interested to read about why it was felt that the Pi was too complex to be a first computer. It seems the BBC disagree with the Pi foundation here, but the Pi foundation have quite a few cute videos of kids programming to back up their position. The MicroBit looks a lot like an Arduino. For the BBC to give away a million of them they need to be cheap. Raspberry Pi would be too expensive. I think they are complimentary to the rPi though – they need to be programmed, and the rPi makes a great host for the coding environment. They are also small and wearable, which makes for interesting fun applications (flashy name badges, interactive games etc.) and they have lights and switches built in, so they can “do something” out of the box without having to add shields or hats. Agreed. I’ll be quite surprised if this doesn’t turn out to be very similar to an Adafruit Trinket / ATTiny, only with a 5×5 LED array and an extra button. If this means more support for programming Arduino-alikes from the Raspberry Pi, I will be a very happy man with very happy children. My eldest daughter (Annabel of the Goblin Detector) was a little disappointed that we used Daddy’s Ubuntu workstation rather than her own Raspberry Pi to program her Adafruit Gemma wearable. The Pi *is* too complex in that it runs Linux, has an FPU, and GPU and large amounts of memory; leaving a huge gap in the spectrum of computing hardware for which there is still a huge skills demand. Simpler devices without self-hosted development environments and tools require different skills than general purpose computing platforms; skills that are much needed, and increasingly rare in he current graduate population. They need to give a few to the old 1980’s hackers (like me) so we can support the kids who get these things. My youngest is too old unless he mugs a year seven kid (or he mugs one of his mate’s younger brother/sister). He’s in year 11 in September and ineligible for this give-away. Clearly I’m about the same age as Clive, in my case 1963 was a good vintage. I agree – been in touch with one of the BBC developers, but not the right person to help me get hold of one. It would be good if some could be made available to STEM Ambassadors and such like so that we could have a go with these and help support the local schools – much like I do with the Raspberry Pi today. I like the concept of the Micro Bit, I just hope that they make them available for purchase as well as giving them away to the year 7 children. Would I be right in thinking that, if it’s an Arduino-alike, that the hardware would be entirely open and thus available for completely legal cloning by any hardware manufacturer that takes a fancy? Wow. A big day. A big announcement. Hope that this initiative will inspire similar activities elsewhere globally (…slightly jealous here in France) being part of the original BBC Micro generation on the other side of the Irish Sea “back in the day”. Here’s hoping that this educational wave will cross the Channel as well. Bravo! Its a pity that they decided that the Pi was “too complicated”, so they’re reinventing the wheel to a certain extent. The Micro Bit as currently demonstrated, needs a companion PC to run the Scratch-like programming environment and transfer the compiled code onto the Micro Bit. Its all rather like an Arduino (the chip looks like a Mega2650, or one of its siblings, to me) and they’ve obviously chosen a visual block programming environment as the C like arduino IDE would be a barrier to entry for the target audience. As well as the LED matrix, it looks like there are some pads for digital IO at the bottom of the board. However it does look fun. I wonder how many they expect to have on hand come September? Its all very well giving One Per Child starting secondary school, but what are they going to do about replacing the lost, stolen, broken, DOA systems? ANd are they going to be released onto the general market? And if so, for how much? They aren’t expensive things to produce. Build up a community around the little things, and it’ll go places that the BBC and their commercial partners would never dream of! I was merely going by the size of the chip – it looked larger than the SMD ATMega328 on the Arduino Uno amd looked similar to the ATMega2560 on the Arduino Mega2560! Is promoting similarities to an 18-certificate video game, which features prostitution and drugs, as part of a project entirely aimed at school children, really a wise move? The tabloids will have a field day with this. The GTA part of the project needs to be rethought, renamed and distanced from GTA, urgently. I agree with you on this. It’s not even targeted at the older kids, but the 11 year olds. well yeah rebellious kids will be rebellious kids, the fact something is forbidden makes them all the more interested in it. I know I was playing GTA before I was 18 though I think I was older than 11. That doesn’t mean associating the pi with it is a good thing. As Microsoft are one of the 9 formal partners I would guess that the coding environment will be Windows primarily. Pink adoption in schools has been hobbled because the schools have a large dependency on old stock VGA only monitors. That’s the piece that’s missing. If the IDE runs using Java (like the Arduino IDE) then there’s nothing stopping it running on Pi. I do most of my Arduino stuff on my RPi now. The Touchdevelop platform for the Microbit will run on any device in a browser. It allows you to create apps for the Windows, Play and Apple stores. It works on Raspberry Pi. Has four levels of expertise. Try it http://www.touchdevelop.com. So not that much Windows focussed I would obviously say. This is great for most schools in the UK. But are there resources for Welsh medium schools? We need creators of Welsh language technologies as well. Excellent! Great to see our materials translated to reach more learners. We hope to introduce multi-language support for resources on the website in future. Wales (where the Pi is manufactured! :) ) is a bilingual country and could be your testbed for making the resources multilingual. From our point of view, at the Language Technologies Unit in Bangor University, it’s important that resources aren’t only available through the medium of Welsh, but that kids get coding with Welsh natural language processing components such as spelling/grammar checkers, pos taggers, entity recognition, text-to-speech, speech recognition, language detection, machine translation etc. Forked Github https://github.com/raspberrypilearning/getting-started-with-raspberry-pi-lesson to start working on French translation. Now just to find/take the time and/or find others who want to help. This has blown me away, you guys are awesome! In my opinion this is a waste of money. The things has a USB port and thus needs a master computer to program. It seems you can detach it and see it running standalone: fine. I don’t see how this adds anything substantial to learning to work with a computer. That is exactly how embedded software for devices such as central-heating controllers, mobile-telephones, robots, toys, engine ECUs, sat-navs, industrial machines, HVAC etc. are developed; a PC development host loading code onto the embedded target. That being the case, this is hardly a waste of money; it teaches the skills and technology that has kept me gainfully employed for 25 years, and for which it is becoming increasingly difficult to recruit anyone below 40 (those developers who cut their computing teeth in the 1980’s). From the picture looks like ATmega32U4-AU. This is the same IC used on the Arduino Leonardo. The LED matrix is wired directly to 10 I/O lines on the header pins on the right. Shows 18 pins. So if using the header you will also be activating the LEDs. Great for debugging as shows clearly when a pin is active. It also looks like the 2 push buttons are tied to the header as well. Can’t see C0-C5. Connections must be on the reverse side. From a hardware standpoint I’d expect not to hard for someone with prior knowledge to reverse engineer. It would be great if released Open Source/Creative Commons Commercial so it can be sold after the million. Use with something like Scratch for Arduino (http://s4a.cat/) and that’s probably most of the way there. It will be interesting to see if the bootloader is the same as the Arduino and also to see what other functionality is included in the built in sketch. Might have added functionality built in to allow for things like scrolling messages and not just flashing LEDs. Looking forward to seeing how this progresses. Paused the video on the announcement and saw the web address. The ATMEGA32U4-AU is certainly enough fun for someone like me to be interested in playing with. A USB device/SPI/I2C/PWM/PLL-based clocking/random IO lines plus blinkenlights would lead to some interesting projects. DIY wearable USB sound card? I think that regarding it as a “springboard to full computers such as the Raspberry Pi” is somewhat missing the point and the fundamental advantage this has over the RPi. The RPi can be used as a general purpose computer to load and run other peoples’ software and you need never do anything particularly creative with it at all. The MicroBit on the other hand does nothing interesting *until* you program it – and that is where the skills shortage is. It is likely to get near 100% of those that use it actually coding, whereas the proportion is likely much lower for the RPi. I am an embedded systems developer and the great majority of embedded software runs on platforms like this, with a few Kb of memory, no display, no file system, no networking, and in particular no complex resource hungry operating system. The trouble with encouraging the notion that you need to “move up” to a “full computer” to do useful or serious work is that no one ends up with the skills necessary to wok in hard real-time resource constrained systems. As much as I like the RPi, I think the MicroBit has the potential to fulfil RPi’s original intent, and fills a gap in the computing spectrum that the RPi vacated when it got carried away with how much technology and software layers you could get for £25. The MicroBit looks like a sub £4 computer to me. Try paying technical staff a professional wage, and watch the ‘skills shortage’ evaporate overnight. This is hardly the place for that discussion. Really looks interesting but the logistics of getting them into classrooms and getting used will be interesting – September isn’t that long away in teaching terms and if they don’t give them to teachers early then the chances of them being used well in lessons next academic year are remote! If I want to plan a scheme of work around them then I need to play! No they really were, the hook was created at BBC Birmingham for YRS. The teams were given a load to ‘experiment with’; they had to hide them behind electrical tape. Using GTA themed resources to teach kids is the most ridiculous thing I’ve heard all month. What are they thinking? Have they actually played it? It’s a great game but 18 rated for a reason. There are PEGI ratings and there is real life. The only kids that don’t get to see GTA these days are Ron and Todd Flanders. I realise that was probably said at least partly in jest but I have to point out that it ain’t true! There are some parents out there whose tweenagers have not played any 15- or 18-rated games and have not seen 15- or 18-rated films, who do not have TVs in their bedrooms, who do not go to Macdonalds for “tea” religiously every Friday and whose bedtimes are sensible. There are some children out there who don’t actually have games consoles despite their protests and who actually enjoy reading and gardening and photography and film-making and writing stories and playing music and dance and drama and making Airfix models and whathaveyou. You get the idea. Come to that – given the reference – there are some children out there who have never seen an episode of The Simpsons. No, honestly! Yes, I’m sort of justifying the way we parent our own children, but it really annoys me when people assume that “teen” starts at 10 years old, and that all teenagers are uncontrolable wannabe adults. My children will not play GTA – any vintage – at least until they have left home, and if a GTA tie-in programme is part of this initiative from the BBC then my soon-to-be year 7 child, who is presumably one of the targets of this scheme, will be encouraged to use the Bit in a manner similar to the Arduinos we already have projects for. I’ll be excited to get full specs of this device though, and would echo those who hope it’ll be Open Sourced and become part of the Arduino family at (hopefully) a very low price. I’ve no idea why you felt you needed to put the ap diddly-iddly ology in near the end of that. Becuase it was a rant that really had very little to do with the subject of the original post and I felt you might take it a little too personally :-) Actually I wrote it with a “not-rant” end-tag that was stripped by the HTML parser which might have made it clearer. I’m impressed and jealous. There is a lot of innovation in your education system now, here in Poland we teach at schools only dry programming theory without hardware interaction. This is a very big mistake, you can’t teach new technologies without real life appliances. According to PISA research you have to do a lot to improve education, but this step is in good direction. Hope someone in polish MEN will monitor you progress. In Poland if you want to teach uC – you have to pay for it on your own. Would be good to get hold of one for local pi jams too so that the younger members who do attend have a chance to hack with it, so when there are new users, they have a user base to get help from. I find myself helping new users at Pi jams, so being able to either help or ask a young person at a pi jam to help with this would be very useful. These look great and should really liven-up classes with Year 7 next year! I’m hoping it’ll be possible to get a few in advance to plan a scheme of work… and it would be a shame if no clone becomes available as it would be nice to continue with classes in future years. As for the processor, the photo certainly does look like a ATmega32u4 but I’m sure one article (can’t remember which) talked of a Cortex-M0. Presumably too far in to development to switch processor now, though?! Interesting that, when the first prototypes of the Pi were demonstrated, it was explained that the BBC didn’t do that sort of thing any more for commercial reasons (they’re a public funded monopoly). And yet now, four years later, they’re prepared to spend enough to fund a million of these mini-arduinos. The BBC Micro helped inspire a generation because it was a real computer – the Pi is the nearest equivalent of that computer whereas, I’m afraid, this trinket looks like a toy. I’d rather see the BBC throw its weight behind the Pi as I think it’d have much greater long term impact. If the BBC have spent licence payers’ money on the development of this kit then it should be made available to all those who wish to purchase it. If it is only to be made available to a single set of 11 year olds this would be a criminal waste of effort. Some 11 year olds will not yet be ready for it while others could make good use of it at 8. I’ve been teaching computing in schools since the 60’s and find Arduino boards (especially the Dagu Mini Driver (£10), with analogue to digital ports, voltage regulator, and twin H bridges for motors, PWM for servos and standard digital pins) an ideal first step into building battery powered floor robots. You can program it from your Pi and build your robot from second hand Lego or cardboard. Brilliant!!! You captured it perfectly! I’m very tempted to correlate that with the recent political developments at the time, but will refrain to do so. I predict the first program created by a student (that’s not a school assignment) will be to spell profanity in that 5×5 LED matrix. You read it here first. What a ludicrous waste of time and money. Beebs obviously has NO comprehension of the skill levels of the average 11-year-old. Students will rebel against this insult to their intelligence by “losing” the devices. The only technology-challenged player in this fiasco is the BBC. And that view of technology, that something like this is too simple to be worth bothering with, is exactly why it’s needed. I hear the BBC is looking for idividuals with precisely these sentiments. So no, the typical 11-year-old in the UK does *not* have the skills to program such a device (or rather, to understand the concepts underlying the programming). Intelligence doesn’t come into it — they simply haven’t been taught or been given the opportunity to learn. Computing is a brand new school subject as of last September in England. I think it would be good if it could also be used as a HAT-board. I don’t mean it would have a HAT-socket from start, but one should be able to solder one to it. It would establish a standard of how to connect a 32u4 to a Raspberry Pi. It is possible to us a 32u4 to build a full computer, see https://halfbyteblog.wordpress.com/tag/arduino-tv-out/ But one might change the language TinyBASIC to something else e.g. Sinclair BASIC. So the best thing would be if one could use it as a HAT and a stand-alone computer (with keyboard and screen) at the same time. There is an IDE called Minibloq that works with 32u4 that is similar to Scratch, but generates C++ and Python code. The Sparki-robots also use a version of Minibloq. It would be good if Minibloq could run natively on Raspberry Pi. Arduino already works.